Victims of domestic violence are often punished for the actions of their abusive partners. For example, victims of domestic violence living in public housing sometimes face unfair eviction and denial of housing benefits. The landmark housing provisions passed in the 2005 VAWA reauthorization are designed to protect victims from such housing discrimination and allow them to access the criminal justice system while maintaining their housing. VAWA housing protections allow public housing agencies (PHAs) to prioritize victims for housing when their safety dictates it, prohibit PHAs from denying housing or evicting a victim based solely on grounds of domestic violence, and clarify portability of Housing Choice Vouchers for victims. VAWA 2013, signed into law in March 2013 builds on the 2005 law. The law: expands to cover the following federally subsidized housing programs – USDA Rural Housing properties, Low-Income Housing Tax Credit properties, HUD’s McKinney-Vento homeless programs, the HOME Investment Partnerships program, the Section 221(d)(3) Below Market Interest Rate (BMIR) Program and the Section 236 Rental Program, Housing Opportunities for Persons with AIDS (HOPWA), Section 202 supportive housing for the elderly, and Section 811 supportive housing for people with disabilities; expands protections to victims of sexual assault; and requires housing programs to adopt emergency housing transfer policies. 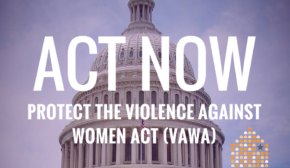 For more information, see The Violence Against Women Act Reauthorization Of 2013: Housing Protections (Section 601) and Safe Housing Partnerships. VAWA housing protections are designed to allow victims to maintain or access safe housing, and yet the lack of consistent implementation has limited the effectiveness of these protections. Many of the housing provisions and protections under VAWA are not fully executed at the local level. HUD issued a final rule on the VAWA housing protections in October 2010 that, by and large, responds to advocates’ concerns. 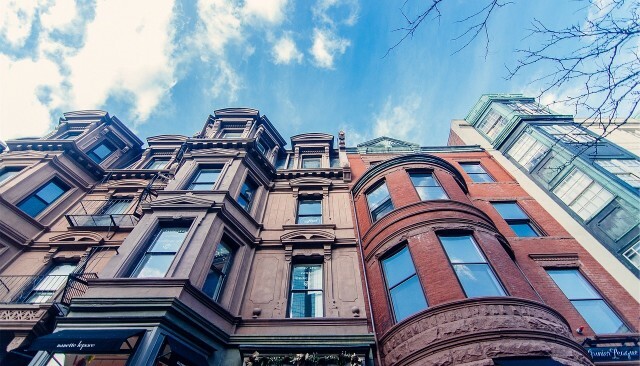 The final rule will help foster consistent implementation and provide clearer guidance to housing providers on how to apply the VAWA housing protections. The final rule also indicates that HUD will continue to provide further guidance on the housing protections. Clearly the new protections, covering additional programs, will require swift and consistent implementation as well. Additionally, VAWA requires grantees and subgrantees to maintain the confidentiality of personally identifying victim information. It prohibits disclosure of personally identifying information or individual information collected in connection with services requested, utilized, or denied through grantees’ and subgrantees’ programs without the informed, written, reasonably time-limited consent of the person. Many victims fleeing violence need safe, affordable housing after leaving shelter; otherwise, they may be forced to return to their abuser or live on the streets. The Transitional Housing program, authorized in the Violence Against Women Act, supports critical interim housing programs that help victims and their families rebuild their lives after escaping abuse. In order to keep victims safe and prevent future violence, Congress must fund this vital program in the FY 2013 budget. The McKinney-Vento Homeless Assistance Act is the primary federal funding for homelessness services across the nation. McKinney-Vento funds also support domestic violence programs that provide transitional housing and emergency shelter to victims. According to the U.S. Department of Housing and Urban Development (HUD) in 2005, 663 projects that identified domestic violence victims as the primary population to be served were awarded nearly $118 million to provide housing and services for this vulnerable group. An additional 2,934 projects anticipated providing housing and services to victims of domestic violence, even though this group was not the primary population for the projects. Victim confidentiality is essential to maintain victim safety. NNEDV works with policymakers to ensure that local domestic violence service providers do not have to provide identifying information on victims to HUD’s Homelessness Management Information System (HMIS) and other third-party databases. Learn more about HMIS and confidentiality for victims. The interrelated nature of domestic violence and homelessness is undeniable: 92% of homeless women have experiences severe physical or sexual abuse at some point in their lives, and 63% have been victims of intimate partner violence as adults [i]. This is not because homeless women are more likely to be victims of domestic violence, rather experiencing domestic violence or sexual assault often forces women and children into homelessness. In 2006, a report by the U.S. Conference of Mayors found that 44 percent of the cities surveyed identified domestic violence as the primary cause of homelessness [ii]. Victims of domestic violence struggle to find permanent housing after fleeing abusive relationships. Many have left in the middle of the night with nothing but the clothes on their backs, and now must entirely rebuild their lives. As long-term housing options become scarcer, victims are staying longer in emergency domestic violence shelters. As a result, shelters are frequently full and must turn families away. NNEDV works with national housing and homeless organizations to ensure that the housing needs of victims of domestic violence are being met through domestic violence-specific legislation, federal housing legislation and federal regulations. Learn more about domestic violence, housing, and homelessness. [i] Browne, A. 1998. “Responding to the Needs of Low Income and Homeless Women Who are Survivors of Family Violence.” Journal of American Medical Women’s Association. 53(2): 57-64. [ii] The United States Conference of Mayors. 1999. A Status Report on Hunger and Homelessness in America’s Cities, p.39.